Cars honked as I tip-toed down the side, the rallying cries of Critical Mass (our streets!) haven’t made it so far north. When you arrive at the creek, the first thing I noticed was that the stream is louder than the traffic on the road. There are also a plethora of warning signs reminding the less knowledgable about the fact that these waterfalls can be hazardous, and have indeed resulted in fatalities. Undeterred and in sneakers, I decided to press on carefully to enjoy some of our precious public land. It did not take long for me to wish for better preparation. The hike is not necessarily challenging, but micro-spikes may have released the inner mountain goat in me. Instead, I was guided up by my spirit penguin, waddling on the thin coat of surface ice over the rocks. The falls themselves do not disappoint from the bottom, but the experience is really codified at the top. Here the ambitious hiker is not just greeted with the view, but also the ruins of a tourist experience of the last century. Here a 300 room hotel stood, with ramps and stairways at every corner to allow tourists to feast their eyes. On a day where I could be riveted by images of nature from a dry couch while looking at Instagram, this was a nice reminder that New York State has the means to spoil you. If you find yourself a little gassed on Belt Parkway one day, consider this another way to refuel. Very nice pics. A few times I’ve pulled off on the way home from skiing to drag my boys around the shores of Pepacton reservoir and parts of Rondout Creek a few times but this was a much more impressive side trip. 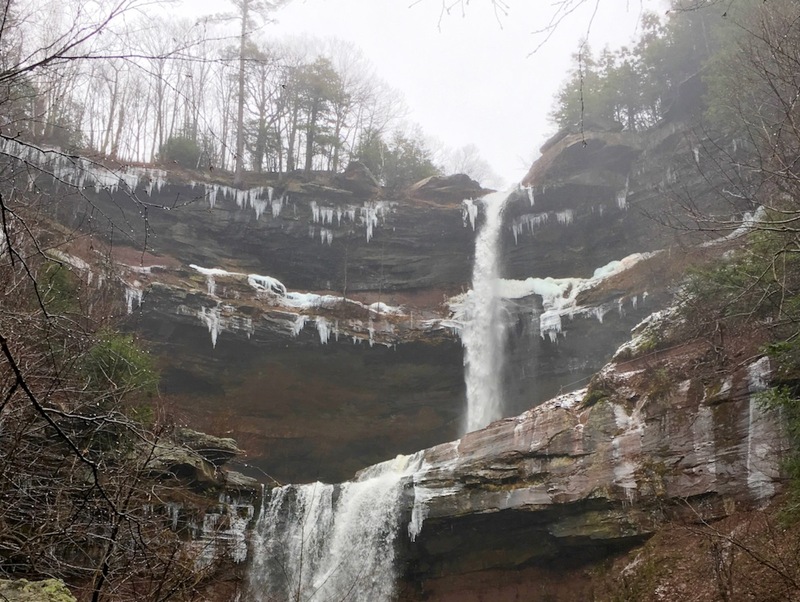 Kaaterskill Falls is definately a fun spot and it looks like you figured out how to avoid the crowds there. Nice pics and report! Cool mix of natural beauty and recreational history for sure, keep your eyes open for the “graffiti” etched in the rocks from days gone by. Nice story. 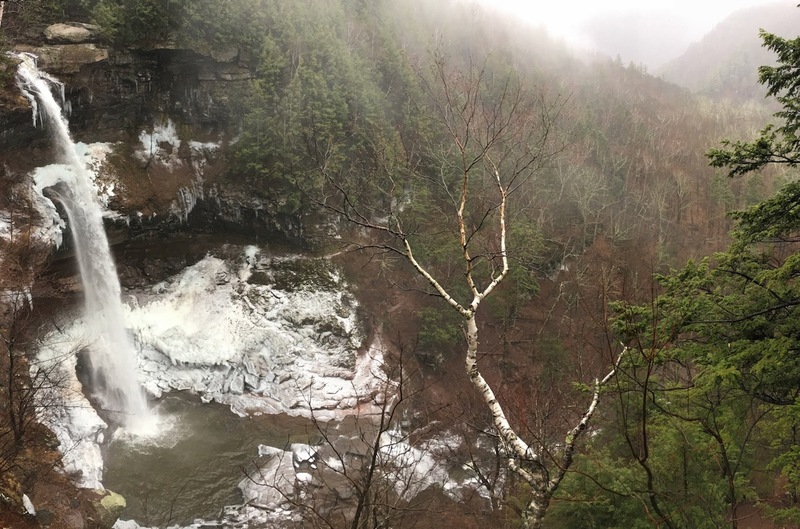 Still haven’t gone up Kaaterskill Falls. 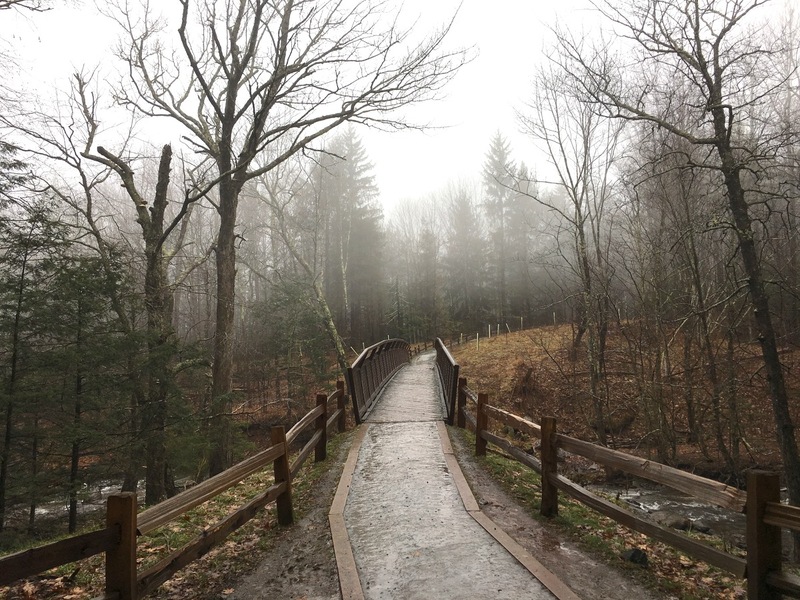 Glad you were careful, a hiker was lost off the top of OK Slip Falls in the Adirondacks last winter. Went right off ice covered rocks. 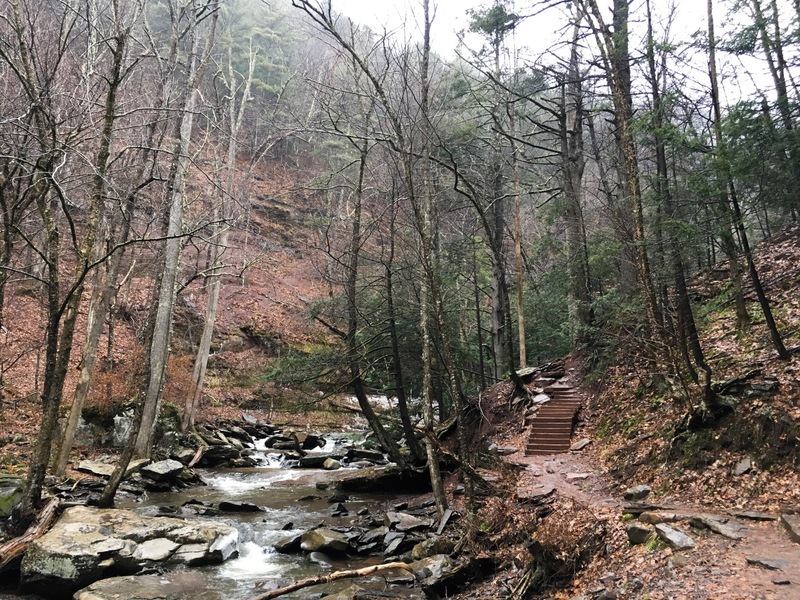 I’ve pedalled past the trailhead of Kaaterskill many times but never stopped, being in bike shoes. Its one of the real beauty spots in that area.